I don't know about you but I am all about the KonMari organization that is going viral right now. Mari Kondo's book The Life-Changing Magic of Tidying Up. I've purged half the things in my closet! When you click on the orange Amazon affiliate links you will be taken to the products I use for this project. There is no additional cost to you and Homeroad receives a few cents to help me bring these projects to you! So the DIY lesson here is to check the donation bag before you send it off... is there a sweater in there that might work for your next recycling project? This old sweater was perfect for the projects I had in mind. 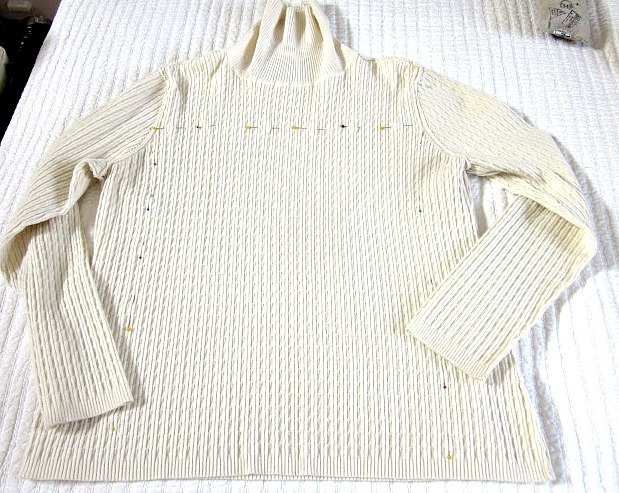 I began by turning the sweater inside out and pinning off a square to be used as a pillow. I had a little help from Kitty who is going to be 22 years old in February! She is almost an antique! 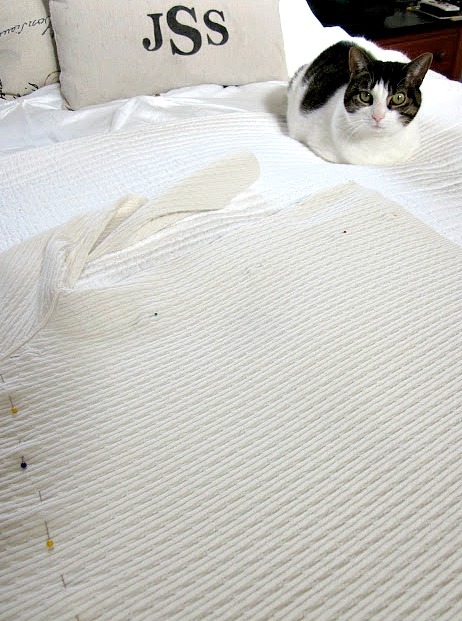 I cut out the square along the pins and sewed around 3 sides with my sewing machine. This is the simple sewing machine I use and love! The next step was to right side the pillow and drop in a pillow form. I hand stitched around the last side to close up the pillow. 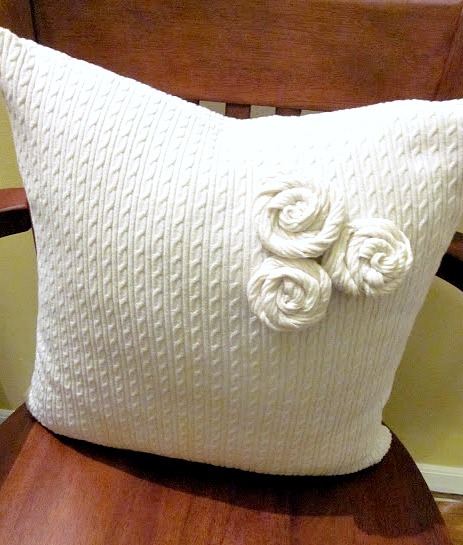 The next thing I needed was a cozy little floret or three to decorate the pillow. 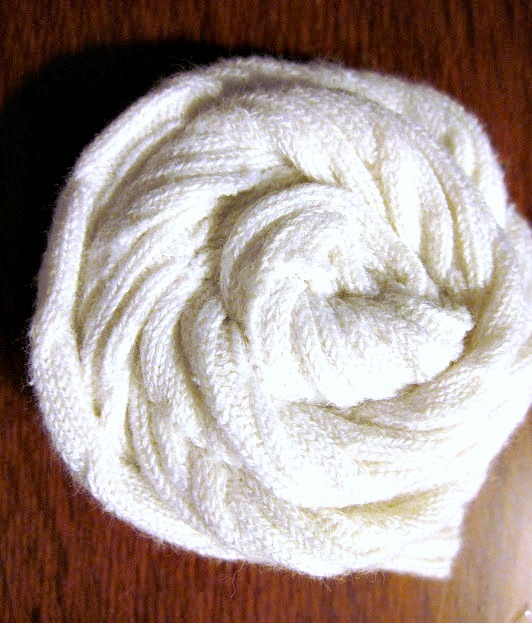 rolled it up into a flower shape then hand stitched the back to hold it together. This cozy pillow was easy to make and gave my sweater another go around. What about the rest of the sweater you ask? 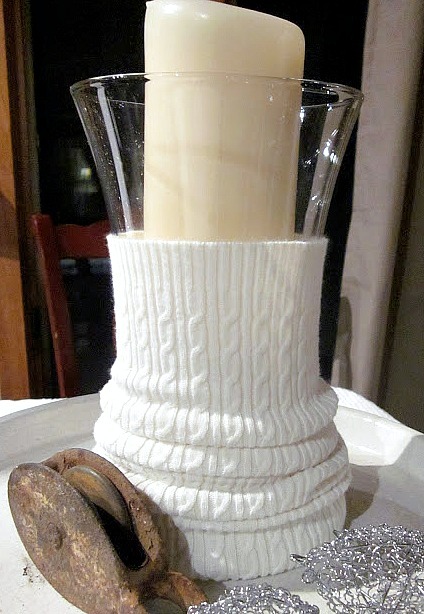 Well, I stretched the sleeve over a vase and made a cozy sweater for a candle. A candle cozy! You can use flameless candles for safety. 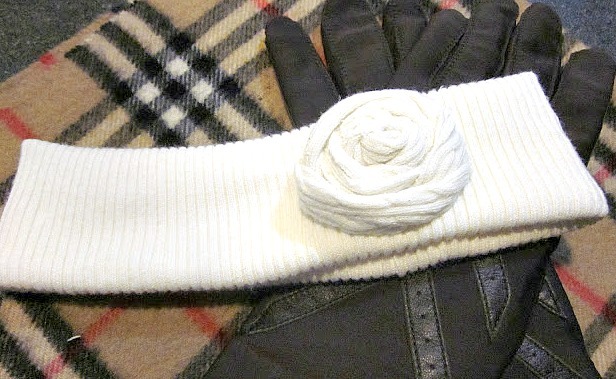 One last piece of the sweater got folded around and stitched with a floret to create a nice warm headband for the cold weather. DIY project straight to you! Susan, I love this...so creative! 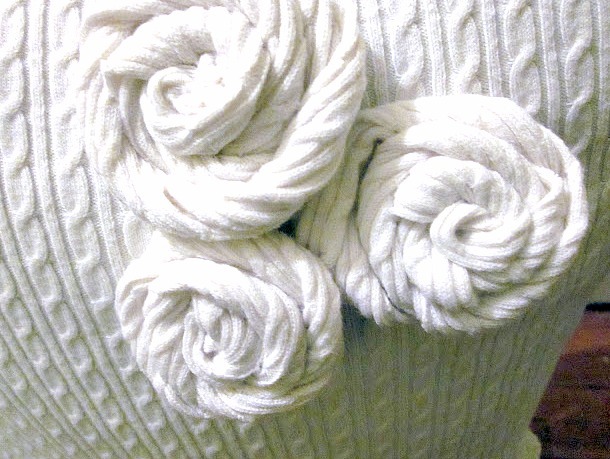 I would have never thought to recycle old sweaters...I usually just give them away! Have a great one! Hugs!